The idea behind this video is a simple one: get your students to immediately get the play on its feet. Here you’ll learn how to help your students take a scene from any of Shakespeare’s plays (though in this case it’s a portion of Act 5, Scene 1 from Twelfth Night) and turn it into a montage of one-second movies using iMovie. Through this process, students will be asked to break down the dramatic structure of the scene, to do a close reading of the scene, and then to distill that scene to its barest essence. While I did not teach Twelfth Night this year, I used a simplified version of this lesson for our first day’s discussion of Henry IV, Part I. Due to a time crunch that I’m sure everyone reading this blog has felt at one point or another, I didn’t think that I could afford the extra day or two that filming and editing a one-second movie montage could have entailed, so I opted for tableaux vivants instead. The principle was the same — get the students to do a close reading of the text and then translate the poetry, rhetoric, and imagery into one representative moment — though the time required was reduced to a single day and the finished product was a still image rather than a very brief film clip. I split my students into two groups and asked them to come up with an image for each line of King Henry’s opening speech. One student read the part, the rest of the group acted, and I photographed each tableau and then projected the photos as the reading was repeated at the end of the class so that everyone could see the finished product. Henry’s manipulation of his audience came alive as an image of unity was followed by one of discord in a neatly repeating cycle that highlighted his political savvy and duplicitous message as well as set up the questions that I would be asking them to consider when Hal begins to behave in eerily similar ways later in the play. There were audible gasps from the students when I projected their work for them at the end of the day, and that energy and engagement helped carry us through our discussions in the following weeks. There was something about seeing the imagery made concrete that connected with them and allowed them to understand that speech — one that I have taught to at least two sections every year for the past fifteen years — in a way that was never possible before. I believe both the tableaux vivants and the one-second movies provide access to this level of understanding while lessening the anxiety many of the students feel when I ask them to act out a scene in class, and this shared process of creating meaning is everything I want my classes to be. If you have any questions or ideas about this lesson in either of its forms, please email me at gcampbell@stalbansschool.org or reach out on Twitter (@21stCenturyLit). Reading Part One, Part Two, Part Three and Part Four of our Teaching Twelfth Night with Technology series. Gene Campbell is the Dean of Students and an English teacher in the Upper School of St. Albans School, an all-boys Episcopal school in Washington, DC. He received his BA in English from Georgetown University and his MA in English from The Bread Loaf School of English at Middlebury College. He currently teaches British Literature to 10th graders as well as 11th and 12th grade electives ranging from Comparative Literature to 21st Century Literature to Narrative Film. School begins soon, my vacation shortened by the intense summer I spent at the Folger Shakespeare Library’s Teaching Shakespeare Institute. As these drowsy days transform to hectic autumn, I wonder how I will use the TSI experience in my classroom. Over the past few years, I have relied on Shakespeare Set Free to teach Romeo and Juliet, but I want to use the month I spent in DC this summer to expand my repertoire. Which play should I add? As I wade through the dusty stacks in our textbook room, Henry IV, Part 1 stands, tall and regal . . . and unread since 1990 – a complete class set. Have I the courage to go forth? An encouraging chorus of “What ifs” surface: What if we only consider the father-son aspects of the play? What if we act the 15-minute version from Shakespeare Set Free, look at a few speeches, and save the heavy lifting for Othello? I quell my fears by reminding myself that Shakespeare study is not about knowing the plays inside out, but about challenging ourselves with difficult text. 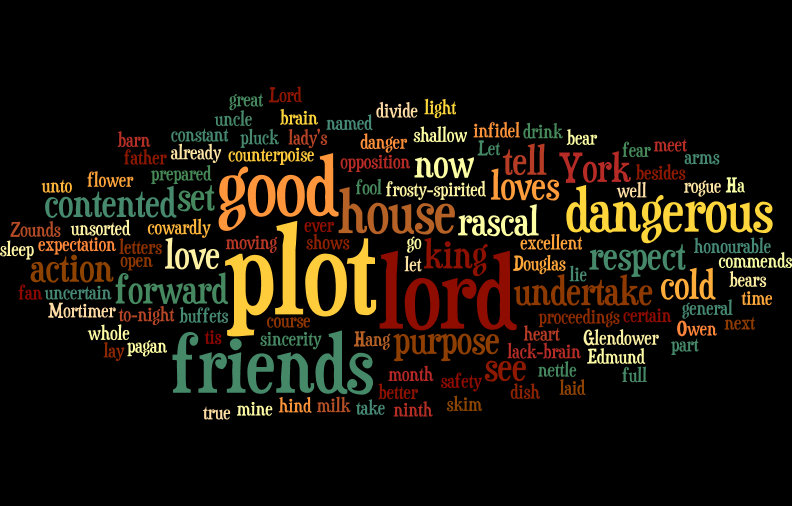 Decoding Shakespeare does something to our brains that ultimately makes us smarter, so when we come to a different Shakespeare, or Marlow, or Jonson, we are that much better equipped to untangle its meaning. So what if I don’t know enough and I enter Henry IV, Part 1 as my students do: learning what I can, knowing I will never know it all, and taking a chance just to see where it leads? Marion Levine is a guest contributor to Making A Scene. She teaches high school students at the Los Angeles Center for Enriched Studies in Los Angeles, CA. 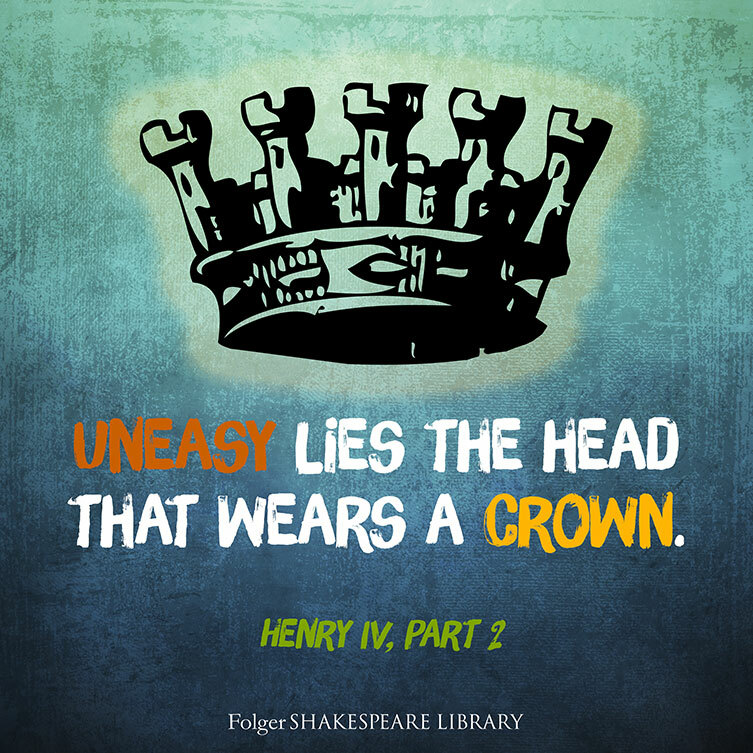 For Folger Education resources on Henry IV, Part 1, including lesson plans, activities, and video interviews with cast and crew members of Folger Theatre’s 2008 production, please click here. 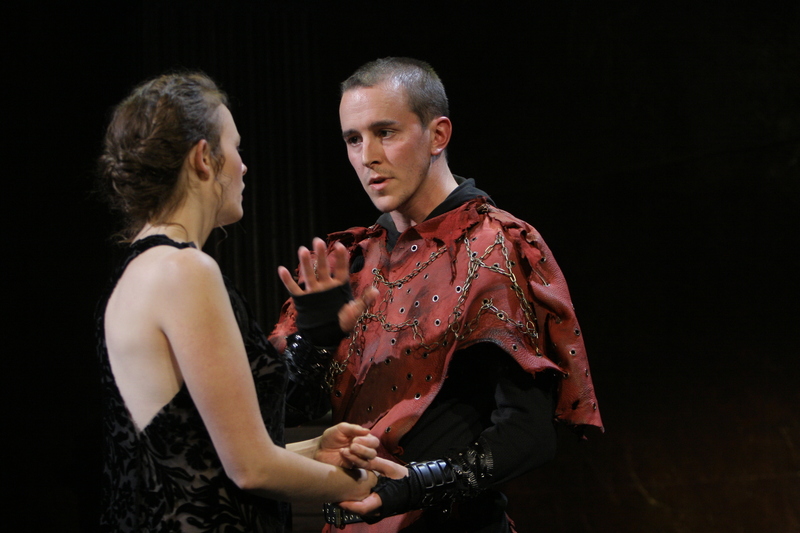 Photo credit: Ellen Adair (Lady Percy) and David Graham Jones (Hotspur), Henry IV, Part 1, directed by Paul Mason Barnes, Folger Theatre, 2008. Carol Pratt.